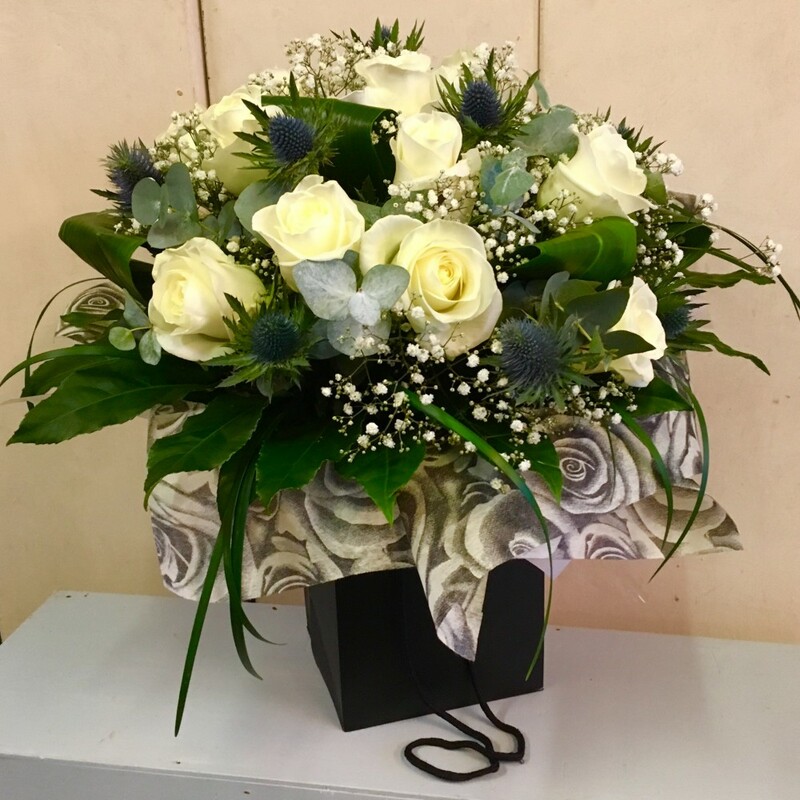 A beautiful handtied bouquet of 12 luxury white roses addorned with thistles for a wee scottish twist, gypsophilia and a selection of stunning foliage aqua packed and presented in a gift bag. Making this the perfect alternative to red roses this valentines. Same day delivery on orders received before 2pm local time.